OTTAWA -- Not everyone wants to own a home these days, Evan Siddall concedes -- not even his own millennial-age son. For the head of the Canada Mortgage and Housing Corp., that's really saying something. But Siddall's experience is far from uncommon, the latest census figures show: 30-year-old Canadians are less likely to own a home today than their baby boomer parents did at the same age, mirroring a modest but unmistakable decline in the national home ownership rate. At age 30, 50.2 per cent of millennials owned their homes, compared to 55 per cent of baby boomers at the same age. Young adults today are more likely to live in apartments than their 1981 counterparts, are less likely to live in single-detached homes, and -- as Statistics Canada revealed over the summer -- more likely than ever before to still be living at home. "We have to start thinking about -- if rent is going to start becoming a more important part of our real estate sector once again -- how we make sure we're building the right type of rental, rental where we need it and rental that's affordable for the people who are going to be using it," Haines said. In 2016, more than 9.5 million of the 14.1 million households captured in the census owned their homes, an ownership rate of 67.8 per cent -- down from 69 per cent in 2011 after 20 steady years of baby boomers flooding the real estate market. Almost 40 per cent of renters captured in the census spent more than 30 per cent of their average monthly income on housing -- a figure largely unchanged from 2011 and more than double the approximately 17 per cent recorded for homeowners. 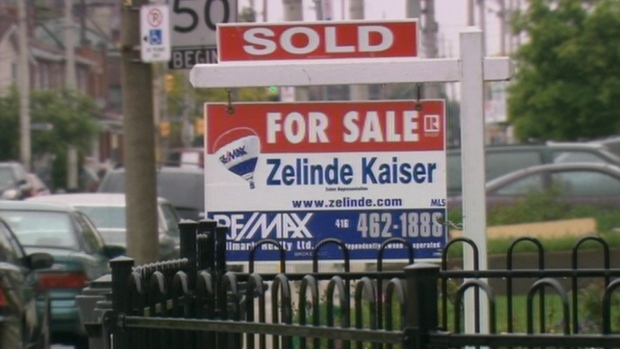 Overall, affordability remains an issue for almost a quarter of Canadian households, a figure that hasn't changed much in a decade, with the pressure most acute in the hot housing markets of Toronto and Vancouver. The federal Liberal government has promised to address affordability issues as part of an $11.2 billion, 11-year housing plan to be released in the coming weeks. It's expected to have a heavy focus on building affordable units, with a new portable housing benefit that would be tied to individuals, rather than properties. Speaking earlier this fall about work on the strategy, Siddall said that the focus wasn't solely on helping the ranks of homeowners. "Rent or own, a home is a home," Siddall said in an interview. "When we think about housing we have got to think about renters who need support to rent, renters who rent on a market basis, and make sure people can migrate and own homes who should own homes." The migration to home ownership is likely to pick up for millennials in the coming years as they start families and look for homes or condominiums -- a class of home that saw a 1.2 per cent increase in households from 2011 -- to fit their growing brood. At the same time, seniors will be looking to downsize. "We've fallen into this trap of building (condo) units for investors rather than end users," Haines said. "There are positive signs that we're starting to recognize that over the last 20 years, we've sort of let the market do what the market wants and maybe we need a little more attention (to make sure) that we're actually getting what we need for our population."